Second Sight glasses help cure blindness and approved for sale in the U.S.
A while back, when Google announced its innovative interactive glasses, we were beyond excited. Sure, they’re not the most fashionable creations, but they’re beyond cool, and really fun. But, to be completely honest, we have to admit: at the end of the day, for now, they really are likely just going to be an expensive toy that no one really needs. So you can imagine how excited we got when we got wind of another innovative pair of glasses that actually serves an amazing function. 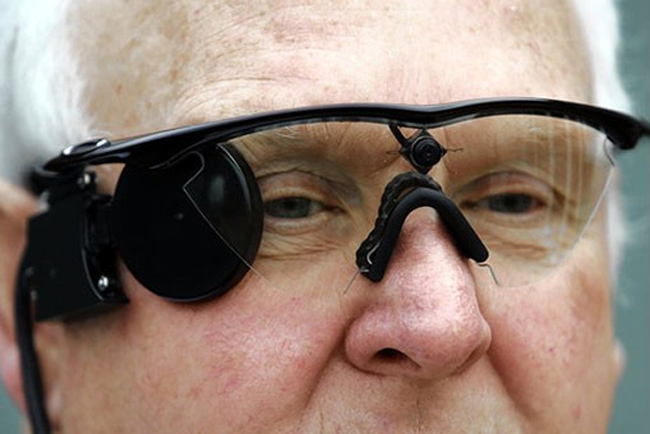 Engadget reported that Second Sight, a technology company, just got FDA approval for the manufacture and sale of its Argus II retinal prosthesis. These amazing glasses have proven to help restore some vision to those suffering from blindness caused by retinis pigmentosa. The glasses work by using a camera that is mounted between the lenses, which captures images and transmits them to an electrode that will have been surgically implanted onto the retina of the user. Though the images won’t be as perfect as someone with 20/20 vision, it will be a vast improvement for those with retinitis pigmentosa. It’s taken quite a while for Second Sight to get approval to sell these glasses. They first introduced their creations almost ten years ago, but weren’t able to get the green light to sell in Europe until just two years ago. We can’t help but hope this is just the first step in vision correction, and that one day we’ll see cures for all types of blindness.